Why Tax Day Falls On April 17 This Year Taxpayers have a couple of extra days to get their federal returns in this year. April 15 falls on a Sunday. So why are taxes due on Tuesday, April 17, and not Monday? Tax day falls on April 17 this year, due to a little-known holiday in the District of Columbia. 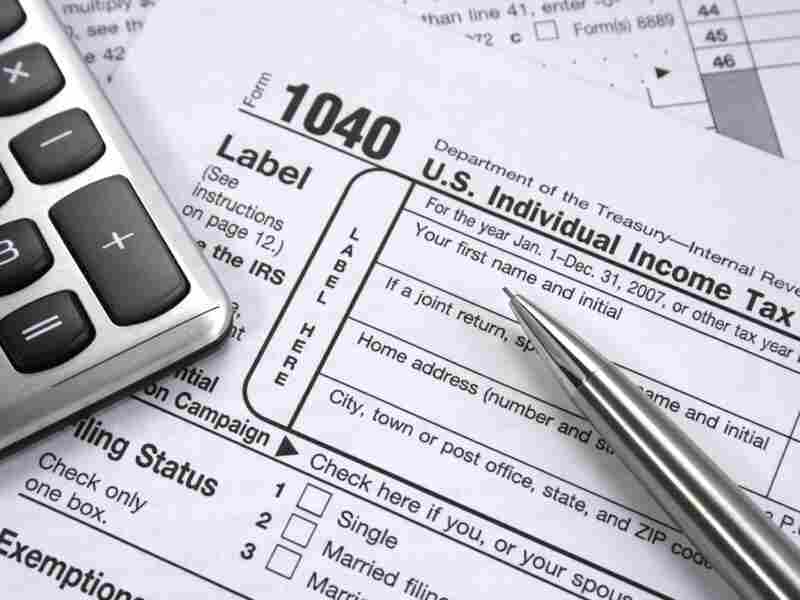 Every year, millions of Americans scramble to file their income taxes before the filing deadline — ordinarily April 15. But procrastinators get a reprieve this year: The 2012 deadline falls on Tuesday, April 17. This year, April 15 falls on a Sunday. One might expect that would make Monday, April 16, the 2012 filing deadline. But not so this year. Monday is the District of Columbia's Emancipation Day — a local holiday unfamiliar to most Americans. Internal Revenue Service spokesman Eric Smith says, by law, District of Columbia holidays are treated like federal holidays when it comes to tax deadlines. "It's just this quirky little thing in the law," Smith explains. "This is just for a very specific and limited purpose. For all other purposes, it's a regular business day," he says. The later deadline gives 2012 yet another interesting twist. April 17 just happens to correspond to so-called "Tax Freedom Day" — the day Americans, according to the nonpartisan Tax Foundation, will have earned enough money to pay their entire tax bill for the year. "Tax Freedom Day is a simple calendar-based measure of the cost of government," says Will McBride, an economist with the foundation, which makes the annual Tax Freedom Day calculation. McBride calculates that Americans will pay 29.2 percent of their income to federal, state and local taxes this year. Do the math, and that means Americans must work 107 days to cover their 2012 tax burden — up until April 17. For the record, almost 70 percent of American taxpayers — 98.9 million — have already filed their 2011 individual income tax returns. That means relatively few of us will be sharpening pencils, or navigating online tax forms, through the weekend.